- Get a $5 coupon for every 500 Mango Points you earn. - Receive a $2 reward just for signing up. 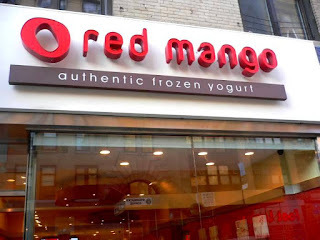 - Earn 10 Mango Points for every dollar spent at Red Mango. - Receive a $5 reward on your birthday..
Red Mango is a frozen yogurt chain founded in South Korea in 2002. The company, which has stores in Korea, United States, Thailand, Philippines, and Indonesia... Go here for red mango locations in the usa.